The weather outside is frightful, and battling through the massive crowds of frantic shoppers at your local department store is certainly not delightful, but if you are like me this holiday season, you’ve got just a few more Christmas gifts left to buy and that special guy in your life has got to have something completely unique. While it is definitely true- you could bundle up in that bulky winter coat, put on your snow boots and stocking cap and head out to the local man store where you will most likely feel just as out of place and clueless as the hoards of other shoppers who are attempting to find unique Christmas gifts for men, you are busy with other holiday preparations, it’s cold outside, and you’ve most likely had your fill of crowded, unorganized stores by this time. Don’t worry, there is a solution to your dilemma! 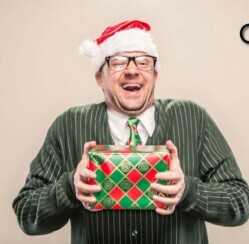 Santa and the elves are pretty well versed when it comes to finding creative Christmas gifts for men, and they have some suggestions that are certain to have him rocking around the Christmas tree this holiday season. Put your coat and boots away and relax in front of the fire- your Christmas shopping adventure is about to be completed and you never even have to leave home. If your special guy is a music lover who seems to have it all, we’ve found something unique to add to his collection. 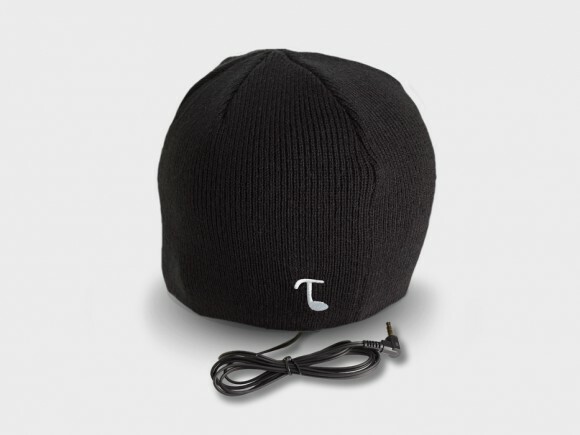 Check out the Tooks Classic Audio Headphone Beanie with built-in headphones and give him a gift he is certain to love this Christmas. 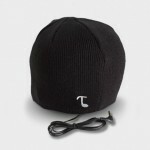 This stylish beanie is made from 100% bulk acrylic and includes 1 ½ inch compact removable headphone speakers that are designed to fit comfortably against his ears, providing hours of superior sound quality while he enjoys his active lifestyle.
. 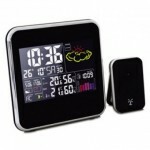 This innovative gadget has a variety of advanced features that are certain to impress him this Christmas. In addition to displaying indoor and outdoor temperatures, this weather station provides information about the humidity, barometric pressure, the time and date, the projected times for sunrise and sunset, the weather trends for the next 24 hours, and even the phase of the moon. With two alarms and a convenient “snooze” function, that man in your life will never need to worry about being late for his next adventure. If you are searching for Christmas gifts for men with a taste for fine cigars, the Cigar Gift of the Month Club is an excellent choice. 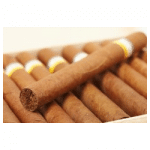 Your recipient will receive 5 premium, top rated hand rolled cigars from around the globe delivered right to their doorstep each and every month for the length of time that you determine, along with a gift card and fascinating newsletter that offers an abundance of interesting information about cigars and the current offerings of the industry. Do you typically have difficulty selecting creative Christmas gifts for men? What are some of the most unique gifts you have purchased for the men in your life? Christmasgifts.com wants to know!